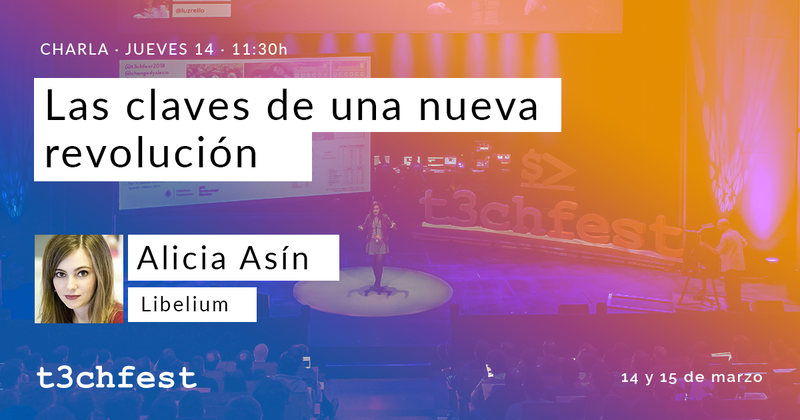 Alicia Asín, Libelium CEO, will participate in T3chFest, one of the most important technology-related events organized in Madrid. With more than 1,600 assistants and more than 80 speakers, T3chFest will take place at the Auditorium of the Carlos III University on the 14th and 15th March 2019. In an increasingly digital and technological world we are witnessing a new revolution, the Internet of Things, which will transform each and every one of the sectors in which we work, from agriculture to smart cities, water management, interconnected logistics and even medicine. This revolution shows transform all kinds of processes to make them more effective, sustainable and improve the quality of life of citizens. Alicia Asín will intervene as speaker: “Keys of a new revolution”: Thursday, 14th March 2019 at 11:30 (CET). For more information and registration, access the official web page of the event.